Leaks are so incredibly common that we haven’t had a day off in years! Yet people often forget that they have real potential of doing some serious damage to your property if left unattended. Leaks can stem from faucets, disjointed connections, corroded metal pipes or a breach in your water system. But if you think by fixing the leak, the worst is over, then you are wrong! In fact, the real problem starts after that. The residual moisture can lead to mold formation or the leak you have been ignoring all this while may have led to huge water bills. 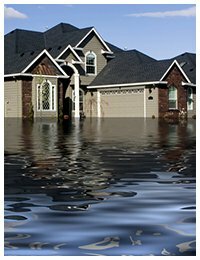 This is the reason you need Homestead Emergency Restoration because we are the best leak detection company in Homestead, FL area. 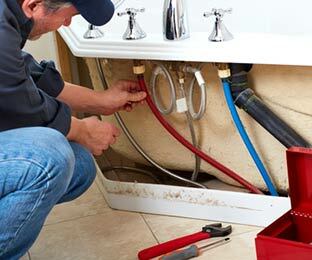 We will identify the source and location of the leak without causing any damage to your property! Did the water supply stop abruptly? There could be a broken line that is flooding your foundation, as we speak. If you have an emergency of this nature, call at 786-408-2426 immediately and we will send our experts at your doorstep within 30-minutes. We use advanced equipment to locate the leak, no matter how hidden it may be. A dripping faucet or a broken pipe may look harmless, but they can be the biggest contributors to your water bills! Don't ignore the unusually high water bill owing it to usage. You are not only paying for something you didn’t use, but also wasting a very important resource. Homestead Emergency Restoration brings thermal imaging cameras to detect the exact location of the problem and fix it without damaging your property. Water leaks are capable of causing much more damage than you can fathom. Mold formation to peeling of wall papers is just the tip of the iceberg. Consider threat to your structure’s strength and other such issues that stem from prolonged exposure to moisture! Don't allow leaks to become such a huge issue. Call us in time to detect, fix it long before it gets out of hand and restore your property. Like they say, prevention is always better than cure. A stitch in time, saves nine. These are not just literary adages but hold a lot of weight in them. By taking one extra step in the right direction, at the right time, you can prevent massive damages later. Call the best leak detection company in the area! We, at Homestead Emergency Restoration, have the best and the most trusted leak detection systems with an inbuilt shut-off to prevent water loss and damage. Install them and you’ll know every time there’s a leak somewhere. We also provide annual packages where our experts will perform leak detection in your water lines, hydrants and valves from time to time. You can sign up for our annual inspections to avail the services of our expert teams in Homestead, FL area. In case they detect a problem prematurely, they will fix it then and there. Call us not on 786-408-2426 and help us find those pesky leaks!